Why Didn't Algeria Light a New Fuse By Now? Eight years ago this month, protesters in Syria's Dara'a were gathering momentum to confront the Bashar Assad regime. Eventually Syria would respond with bullets to the protests, sparking the "Friday of dignity" protests on March 25, 2011. Something similar could have occurred in Algeria this week as protesters sought to prevent Abdelaziz Bouteflika from seeking a fifth term in office. Instead, Bouteflika took the peaceful way out and decided he wouldn't try to cling to office. Bouteflika is one of the last of the old men in the region. He was born in 1937 when Algeria was under French colonial rule. He joined the National Liberation Front (FLN) soon after its foundation and was a rising party activist in his twenties, when Algeria gained independence in 1962. A contender for high office, he became minister of foreign affairs in the 1960s and supported the coup against revolutionary leader Ahmed Ben Bella in 1965. In the 1990s, during the brutal civil war in Algeria that pitted Islamist insurgents against military rule, he was sidelined until coming to power in 1999. It has been 20 years of Bouteflika rule. He has watched as Zine El Abidine Ben Ali was removed in 2011 in neighboring Tunisia and Muammar Gaddafi was killed the same year in Libya. These were older generation leaders too. Ben Ali was born in 1936 and Gaddafi in 1942. Only Mahmoud Abbas, and Michel Aoun in Lebanon, both born in 1935, are around today as leaders and members of his generation. These men were all cut from the same mold and lived similar lives, in a sense. They were born under colonialism and they led movements that at the time seemed revolutionary. Ostensibly, they were interested in Arab nationalism and socialism. Later that ossified and withered on the vine. Gaddafi, Ben Ali and Hosni Mubarak were swept aside by the Arab Spring. Other contemporaries met a different fate. Ali Abdullah Saleh, born 1947, was killed in 2017 in Yemen. He had tried to navigate the chaos, switching sides to support the Iranian-backed Houthis, until they killed him. Saddam Hussein was pushed aside by the US-led invasion in 2003. Hafiz Assad died of natural causes in 2000. The world of the Middle East today, the one that Bouteflika chose to step quietly off the stage from, is much different than that world of towering figures like Saddam, Hafiz, Mubarak and the others. The region transitioned almost seamlessly from colonial rule to the rule of these giants, these dictators. These forms of government, a blend of militarism, socialism, Arab nationalism, and cult of personality, were a response to the type of government left behind by colonial powers. The British left monarchs in Iraq and Egypt. King Farouk of Egypt was overthrown by the military in 1952. Faisal II of Iraq was killed in 1958. King Idris of Libya, who reigned from 1951 was overthrown in 1969. So the Arab countries of the Middle East in the 20th century can largely be seen as one of either nationalist dictators or monarchs whose power derived at least in part from the colonial era. It is interesting that beyond those two forms of government, that Iran, Turkey and Israel produced types of democracy. Imperfect perhaps, but they created a different system within the Middle East. The destruction of the Arab nationalist regimes by the Arab Spring is now mostly complete. What has replaced them is something different. Setting aside the Assad regime in Damascus, and Lebanon's unique form of sectarian democracy, Bouteflika represents the last of the old regimes. It's not clear why Algeria was able to weather the storm that afflicted Libya, Tunisia and Egypt. But it is interesting that these four North African countries had a different trend. Libya fell into chaos and brutal civil war. Maybe Khalifa Haftar, born in 1943, will bring a semblance of military order to eastern Libya. But Libya is still unstable. Tunisia has become a success story, a democracy and one not ripped apart by Islamists and authoritarians. Egypt has returned to authoritarianism. Algeria has a chance now to decide if it will become like Tunisia. Its neighbor to the West, Morocco, has a kind of benevolent monarchy that has also kept it from the chaos of the Arab Spring. That protests were able to get Bouteflika to end his attempt at a fifth term is important. It has inspired some from the Middle East, primarily commentators, some of whom live abroad but believe in the values of the Arab Spring. But has it inspired people in the region? The media has tended to downplay it. That is because the authoritarianism that has grown up in response to the chaos and instability of the Arab Spring has tended to fear any calls for protests today. Media has also become polarized, with pro-government media in Qatar and Turkey closely aligned, while other channels in Egypt or Saudi Arabia present their government's narrative. Why did the monarchies weather the storm of the last eight years so well, while the Arab nationalist regimes had a mixed record, sinking into either chaos or authoritarianism, or in the case of Iraq and Lebanon, into a kind of sectarian equilibrium politics that is underpinned by rising Iranian influence? Kingdoms provide some kind of security and continuity, but that's not a good enough answer. Kings were overthrown in the 1950s by their militaries. It appears that what weakened the Arab nationalist regimes was that there was at least a promise of some kind of consultatative semi-democracy and the regimes never lived up to that promise. After all, the concept of nationalism and socialism, blended in a devil's embrace, should lead to the fulfillment of the desires of the populist masses. Even if it is a kind of fascist impulse, fascists also want to find that they get something at the end of the day. The monarchies never promised that kind of fulfillment, but they do promise some level of security and economic success. They have proved to be successful in maintaining that. In fact, the monarchies appear economically more successful than their neighbors. They also tend to be on the periphery of the traditional heart of the Middle East. Baghdad, Damascus and Cairo are not monarchies. Abu Dhabi, Kuwait, Amman, Rabat and Muscat – these are places that were mostly backwaters 100 years ago. Now they are the stable areas. The traditional heart of the Middle East is still wondering what comes next. 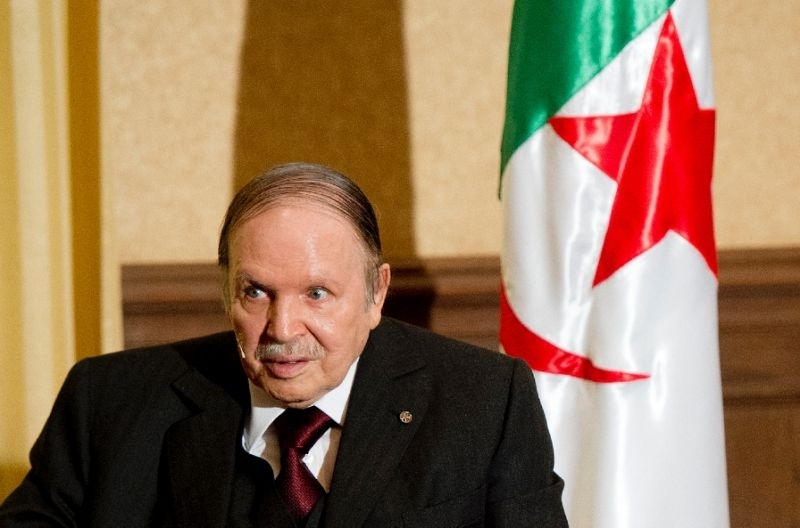 Whatever it is, the Bouteflika model does not appear to be a lesson for the region.